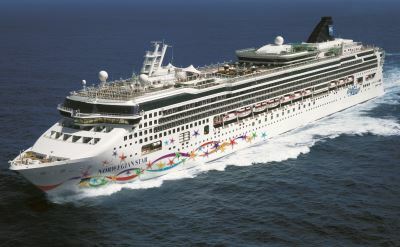 The Norwegian Star is part of the Norwegian Cruise Line fleet. It is known for casual "freestyle cruising". 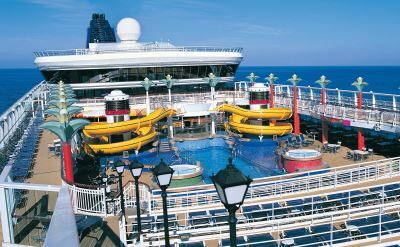 Norwegian Star features live entertainment shows, Mandara Spa, Stardust Theater, fitness center, 6 hot tubs, indoor lap pool, jogging track, Internet cafe, casino, White Hot Deck Party, and Splash Academy for kids. 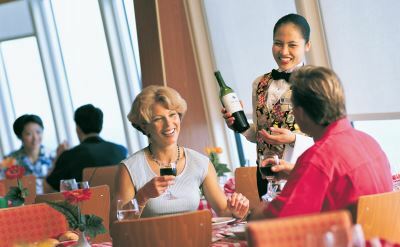 Complimentary dining options on the Star are Aqua dining room, Versailles dining rookm, Ginza Asian Restaurant, Market Cafe buffet, and O'Sheehan's Pub. For an added charge you can try the specialty restaurants: Moderno steakhouse, Teppanyaki Room, Cagney's Steakhouse, La Cucina, Le Bistro, and Sushi Bar. Bars and lounges on board are Bier Garten, Atrium Bar, 5 O'Clock Somewhere Bar, Gatsby's Champagne Bar, Spinnaker Lounge dance club, Sugar Cane Mojito Bar, and Topsiders Bar. For the departure schedule, please see our Norwegian Cruises from Philadelphia.